3 Bedroom home on almost 1/4 acre in Woodlake at an affordable price! Gently sloping front yard with tall twin palms. Roof installed in 2005 and new exterior paint in 2011. 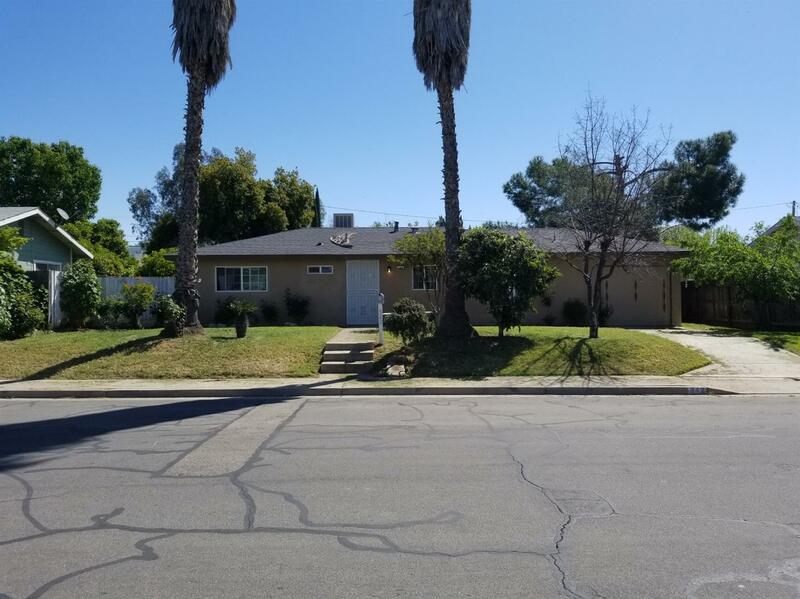 Energy efficient dual pane windows and 18 inch tile floors throughout with newer wood laminate flooring in all 3 bedrooms. Large covered patio along the entire back of the house. Citrus trees along the side of the large back yard with alley access. Will go fast!